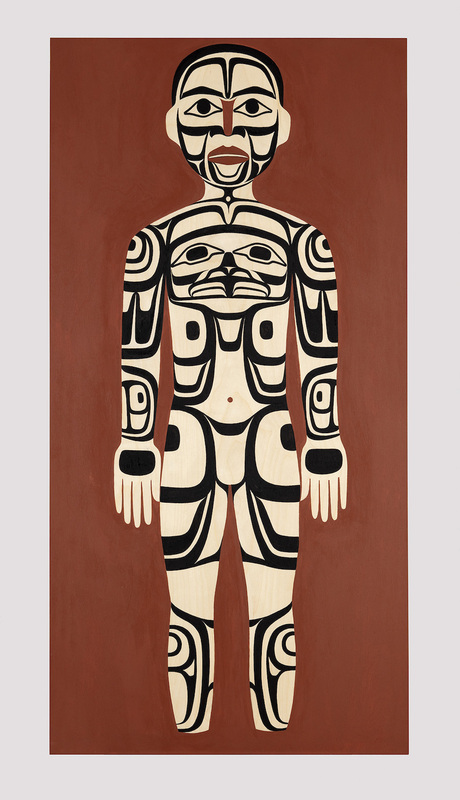 "Our tattoos came from the land, they were gifts from the creators [or] a very spiritual identity for us," explained Nahaan, a Tlingit artist. As Nahaan speaks, he is simultaneously tattooing a large design onto someone's arm in front of an attentive audience. This live display was set up in the middle of the Bill Reid Gallery, and was a temporary part of a new installation Body Language: Reawakening Cultural Tattooing of the Northwest. Body Language, curated by UBC alumnus Dion Kaszas (Nlaka’pamux), displays a collection of photographs, art pieces, and tattooing and piecing tools related to the traditional practices of Indigenous body art. Traditional Indigenous tattooing was done in two ways: stick and poke, or skin stitch. Stick and poke involves a hand-held needle poking the skin with individual dots. Skin stitching uses a needle and thread to pull the ink through the skin, literally stitching the tattoo onto the wearer's body. The artists at the gallery explained that this practice was similar to how shells and beads were sewn into regalia, in the patterns of clan animals. 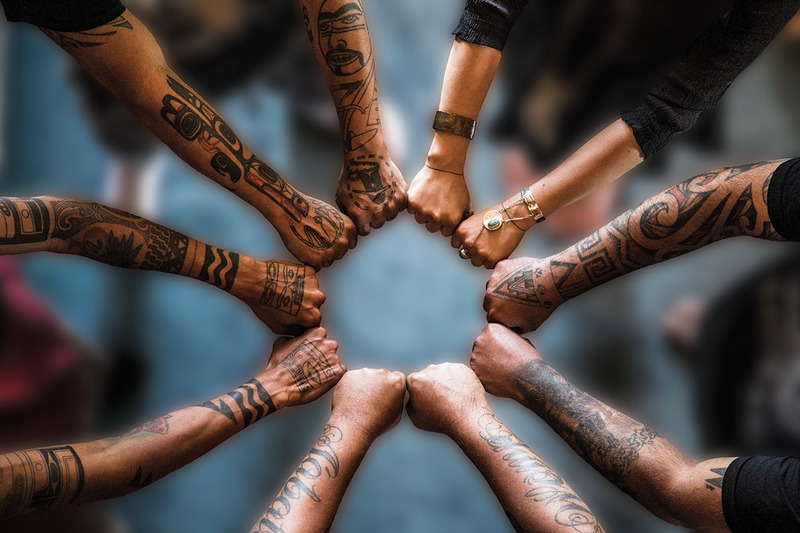 In 1885, when European colonizers misinterpreted tattoos as a form of witchcraft, the practice of tattooing was banned. The contemporary artists involved in Body Language are now working to reclaim and revive this art form. Placement of traditional tattoos is usually on the hands, forearms, shins, chest and back. Photos of different tattoo designs are found throughout the exhibit. "People want it to be visible," Nahaan said, "taking that pride back and making it visible." Body Language is on display until January 19, 2019.